Tributes are being paid to war correspondent Clare Hollingworth, who has died in Hong Kong aged 105. The British journalist broke the news of the Nazi invasion of Poland that triggered the outbreak of the Second World War - and she spent much of her career reporting for UK newspapers on the world's major conflicts. If you're not aware of Hollingworth's incredible story, here's everything you should know. How did she become a journalist? Born in Leicester in 1911, Hollingworth had a fascination with war, which she credited to her father and being taken on tours of famous battlefields - Naseby and Market Bosworth - during school holidays. Her appetite for foreign journalism was brought to life after a chance encounter with the Daily Telegraph editor in the summer of 1939, and the rookie found herself in her first job in journalism. Why is she known as having the "scoop of the century"? In August 1939, she was 27 and just three days into working as a reporter for the Daily Telegraph in Poland, when she spotted German forces amassed on the Polish border. She borrowed a diplomat's car and drove into German-held territory, where she saw tanks, artillery and armoured cars. When the Nazis launched their invasion that September she informed her newspaper and British diplomats. Her first-hand testimony saw her scoop the world. The Daily Telegraph headline read "1,000 tanks massed on Polish border. Ten divisions reported ready for swift stroke". However, she received no byline. Hollingworth said that the British embassy in Warsaw was so disbelieving of her account that she was forced to hold her telephone receiver out of her hotel window in Katowice for the diplomat to hear the Wehrmacht for himself. But that's not the only incredible thing she did around that time, is it? Far from it. As well as breaking the biggest story of the day Hollingworth also saved thousands of people from Hitler's clutches. A year before the invasion, the young political activist, was working with a charity in Europe, the British Committee for Refugees from Czechoslovakia. And she led an operation helping refugees get visas to come to Britain and beyond, interviewing them and verifying their papers as well as getting them housing and food. It's estimated she helped between 2,000 and 3,000 people get to the UK. So she spent most of her career reporting on the world's major conflicts, right? Indeed - Hollingsworth went on to report from conflict zones in Palestine and Vietnam, the Chinese cultural revolution and the Algerian civil war. She was also credited with the first and last interviews with the Shah of Iran. In an interview with The Telegraph in 2011 she explained her fascination with war, saying: "I'm not brave, I just enjoy it." Her body of work still holds the admiration of journalists today. What tributes have been made to her so far? Chris Evans, The Telegraph's editor, said: "Clare Hollingworth was a remarkable journalist, an inspiration to all reporters but in particular to subsequent generations of women foreign correspondents. "She will always be revered by all of us at The Telegraph. Our sympathies to her friends and family." Tara Joseph, president of the Foreign Correspondents' Club in Hong Kong, added: "We are very sad to hear about Clare's passing. She was a tremendous inspiration to us all and a treasured member of our club. 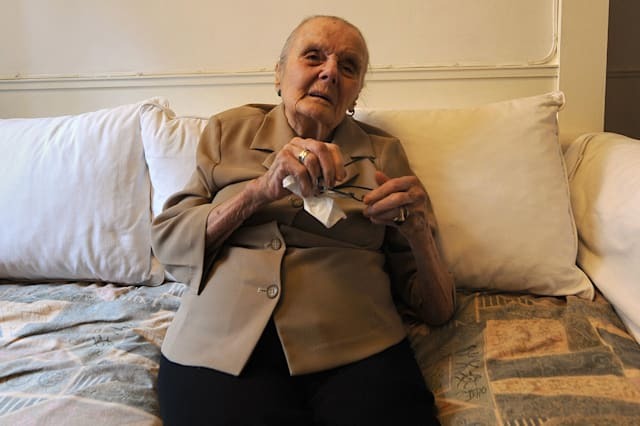 We were so pleased that we could celebrate her 105th birthday with her this past year." Twitter is also full of tributes. RIP Clare Hollingworth, an inspiration to me and many, last of an era and most definitely one of a kind, who has died aged 105. And what about Hollingworth's personal life? She married twice - first to writer Vandeleur Robinson, the second time to Times journalist Geoffrey Hoare, and became stepmother to his daughter. She dismissed the thought of having children of her own, instead wanting to devote her time to work. She was posted to China in 1973, and spent the rest of her career in Asia - she moved to Hong Kong in the 1980s where she spent her final days, whiling away time at the Foreign Correspondents' Club, where she would fix a pair of headphones to her ears and tune in to BBC broadcasts.